A new study by LASP research scientist Brian Toon and doctoral student Eric Wolf indicates that explaining Earth’s early conditions, which were warm enough to support life despite a 20-percent dimmer Sun, may be simpler than believed. The study, published in the July issue of Astrobiology, indicates that the Archean eon, 2.8 billion years ago, only needed to have reasonable atmospheric carbon dioxide amounts believed to be present at the time, and perhaps small amounts of methane. The key to the finding was the use of a three-dimensional model run on CU’s Janus supercomputer; most scientists studying the paradox use one-dimensional models. Wolf and Toon used a general circulation model known as the Community Atmospheric Model version 3.0 developed by the National Center for Atmospheric Research in Boulder and which contains 3-D atmosphere, ocean, land, cloud and sea ice components. 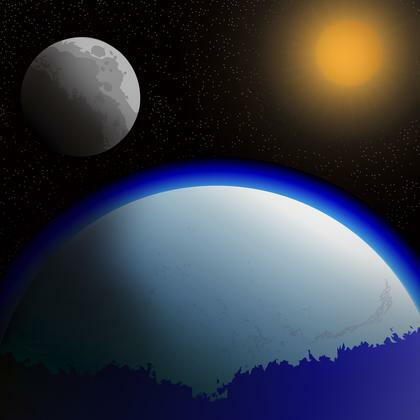 The two researchers also “tuned up” the model with a sophisticated radiative transfer component that allowed for the absorption, emission and scattering of solar energy and an accurate calculation of the greenhouse effect for the unusual atmosphere of early Earth, where there was no oxygen and no ozone, but lots of CO2 and possibly methane.